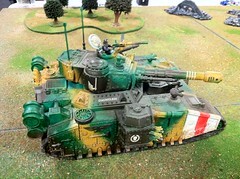 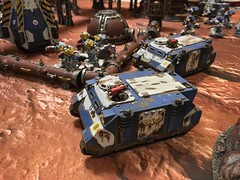 Astronomi-con since the very beginning has been an event which has tried to incorporate as much of the 40k universe as possible in our tournaments. 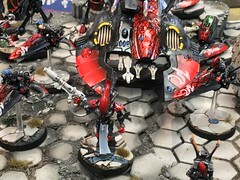 This has been the case over four editions of the game, and all manner of rules from White Dwarf Chapter Approved articles, 40k Battle Zone supplements such as Cityfight, more exotic rules such as VDR, and what we’ve always seen as an extension of the core range of rules and models: Forgeworld. 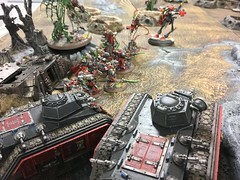 This has been our preferred method of playing games here locally for over a decade, and as a result the gaming culture has grown to simply accept Forgeworld rules and models without any second thoughts. 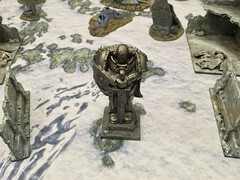 This is most certainly not the case in other communities, and having recently attended a tournament that did not allow units from the Forgeworld supplements (models were just fine!) 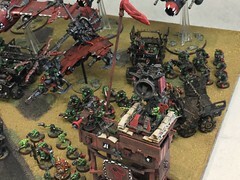 it struck me as to how much Forgeworld is part of the local 40k scene. 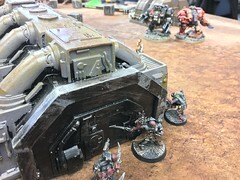 Today I ran across the Whiskey and 40k blog, which had a very well written article by Mike Brandt, which addresses this topic and some of the dynamics of the tournament scene in the U.S.A. 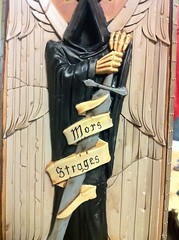 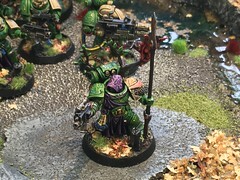 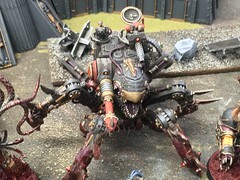 I would like to invite your comments and thoughts on the subject of using Forgeworld in tournaments.